WAAS uses a combination of satellites and ground stations to augment GPS performance, WAAS is the new standard for satellite navigation within the United States and Canada. 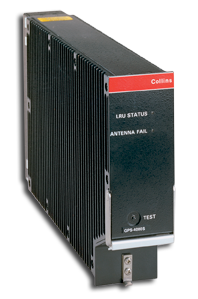 WAAS provides extremely accurate and reliable positioning with far greater signal availability worldwide. LPV stands for Localizer Performance with Vertical Guidance and it relates to the approaches now available through WAAS. Using the precision and the vertical navigation capabilities found in WAAS, LPV-based approaches allow stabilized, constant rate descents similar to ILS glideslopes in GPS approaches. No more stressful step-down or circle to land approaches at airports with no ILS. LPV also provides a level of precision that allows much lower weather minimums. And because LPV is satellite-based, there are no cold temperature limitations commonly found on RNAV approaches for aircraft using barometric vertical navigation (VNAV) for the approach. Simply put, WAAS capabilities with LPV enable simpler and safer IFR operations at non-ILS airports with greater reliability than ever before. LPV: The Future is Everywhere. As of June 2011, there are over 2,500 LPV approaches published in the United States. With the FAA planning to add more than 300 per year, the number of LPV approaches is expected to reach over 4,000 in total. And since LPV approaches do not require the installation and maintenance of ground equipment at the airport it serves, LPV approaches are expected to succeed ILS as the standard for IFR approaches. WAAS/LPV is an integral part of the Satellite Based Augmentation System (SBAS) within the United States and a critical part of the Future Air Navigation System (FANS) strategy for the FAA. As a result the WAAS/LPV capability of your aircraft will be crucial to its continued use in the future. The WAAS/LPV upgrade for Beechjet 400A or Hawker 400XP not only improves the flexibility of the aircraft, but it also significantly enhances safety in IFR operations and improves navigation reliability. Stabilized LPV approaches replace chaotic non-precision approaches Precise GPS vertical guidance replaces error-prone barometric guidance. And your overall cockpit workload is greatly simplified with GPS as your “primary means” of navigation from take-off through approach. As a result your peace of mind is upgraded when you upgrade to WAAS/LPV. Vertically-guided LPV approaches are safe & stable. The constant rate descents with ILS-like glide paths found in LPV approaches make non-precision approaches a thing of the past. With LPV, a glide path with precision equalling CAT I standards is available for every runway served by GPS. With GPS vertical guidance available, reliance on barometric vertical guidance is eliminated. Flight deck and CRM operations are greatly simplified due to GPS being used as the “primary means” of navigation. Highly accurate WAAS/LPV data provides superior situational awareness. LPV approaches increase the number of alternate airports available closer to your original destination, thus reducing the risk of a fuel critical situation in a diversion. Stabilized LPV approaches with approach minimums as low as a 200 foot decision height and visibility of 1/2 mile improve your likelihood of a successful approach without going missed when weather worsens. Satellite-based, WAAS navigation and LPV approaches are not subject to navaid or airport navigational equipment failure or errors and are not adversely affected by weather and terrain during critical stages of flight. A Rockwell Collins Pro Line 4 equipped Beechjet 400A or Hawker 400XP upgraded to WAAS/LPV enjoys a far greater level of flexibility and usefulness over non-equipped aircraft. Pilots will now have more approach options available at primary and alternate airports and can use more workload-reducing “direct-to” routes. Operators will uncover savings in fuel consumption with more direct routes with fewer power changes. Regardless of whether you choose to utilize an LPV approach at your destination airport, your WAAS/LPV upgraded Beechjet 400 or Hawker 400XP can file airports equipped with RNAV (GPS) and LPV approaches as an alternate, giving you greater options if weather or other contingencies requires you to divert. 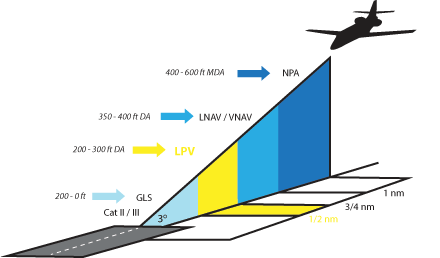 LPV Approaches commonly feature CAT I approach precision and decision altitudes as low as 200 feet and require visibility minimums as low as 1/2 mile as traditionally found only on ILS approaches. LPV also gives you access to LPV minimums on published RNAV (GPS) approaches. With over 2500 FAA-approved LPV approaches now available for use in the United States with more being added each year, you will have the ability to land at more airports, more often, regardless of weather and ILS availability. Costly and inconvenient diversions will become a distant memory with the number of precision LPV and RNAV (GPS) approach options available to you now and in the future on your WAAS/LPV equipped Beechjet 400A or Hawker 400XP. WAAS + LPV = Getting More From Your Beechjet. To get the most out of your investment, your aircraft needs to be available, ready to fly, at a moments notice. You and your flight crews can’t afford long maintenance downtimes, the inconvenience of service at facilities far from your home base or a steep learning curve to operate your new system. Fortunately you don’t need to worry about these issues with the WAAS/LPV upgrade from Cutter Aviation, we make the upgrade simple and easy for you and your crew with minimal downtime, flexible installation options and training for your WAAS/LPV upgrade package. Depending on the current configuration of your Beechjet 400A or Hawker 400XP, the WAAS/LPV upgrade requires only about a week of downtime for your aircraft and in some cases, can be completed in as little as three days. 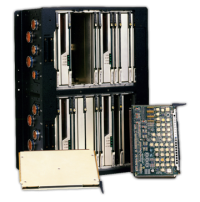 The upgrade does not require extensive disassembly of your flightdeck as most hardware component installation takes place in the avionics bay or through your existing FMS interface. 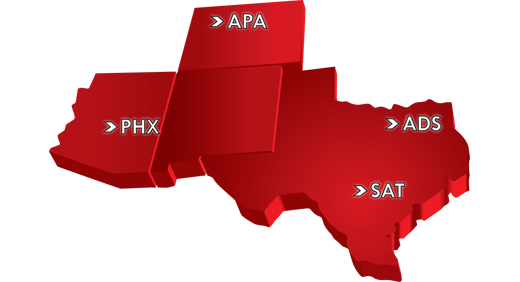 Upgrade installations may take place at any convenient Cutter Aviation facility around the Southwest or even at your own facility with an installation by our remote upgrade team. Depending on your currently installed equipment, some components may be eligible for trade-in exchange through Rockwell Collins. Your Cutter Aviation representative will work with you to determine which required components, upgrades, Service Bulletins and exchanges apply with your existing Beechjet 400A or Hawker 400XP configuration. Beechjet owners and operators have trusted Cutter Aviation for maintenance and avionics service since the product line was launched in 1986. The 25 year history with the Beechjet and our 65 year history with the entire Beechcraft family of aircraft makes our factory-trained technicians the most experienced choice for Beechjet 400A & Hawker 400XP owners and operators today. Our relationship with Beechjet 400A and Hawker 400XP owners and operators is very important and meeting their current and future needs is a priority for our team. We understand the usefulness and value of the Beechjet and as a result Cutter Aviation has been a leader in the development of Supplemental Type Certificates (STCs) for the Beechjet. Cutter Aviation has been an Authorized Dealer & Service Center for Rockwell Collins for over two decades and supports their wide range of products for business aviation. Because of this, Cutter Aviation was able to directly partner with Rockwell Collins in the development of the WAAS/LPV upgrade STC for the Beechjet 400A & Hawker 400XP. Cutter Aviation in Phoenix provided the aircraft, performed the installation and engineering, modified existing equipment, installed the new equipment, performed system testing and flight testing, prepared the necessary drawing packages, and submitted the STC project for final approval by the FAA. Rockwell Collins provided the equipment, proprietary data, technical interface documentation, and safety assessment documentation. 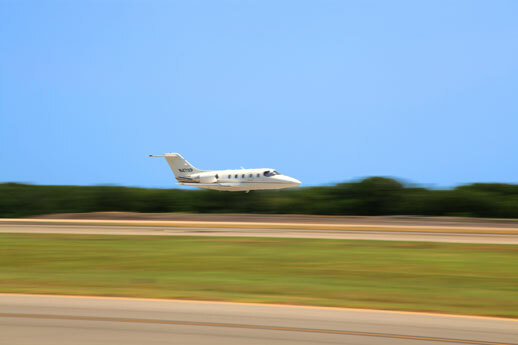 The STC was approved by the FAA in 2010 and is now available to all Beechjet 400A & Hawker 400XP operators nationwide. Because of the intimate knowledge of the Pro Line 4 system gained through the STC process, our avionics engineers and technicians are the best suited and most prepared team to upgrade your aircraft. We can perform the upgrade at one of our repair stations within the Southwest or we can travel to you and perform the work at your base. Either way, you can be sure that your upgrade is performed on-time and on-budget while in our experienced hands. The Cutter Aviation WAAS/LPV Upgrade for the Beechjet 400A & Hawker 400XP may be performed at one of our four aircraft technical service facilities or from the convenience of your own home airport and hangar. You may choose to visit our locations in Phoenix, Arizona (PHX); Albuquerque, NM (ABQ); Dallas-Addison, TX (ADS) or San Antonio, TX (SAT) and combine your upgrade with additional services or upgrades such as our new STC package for inflight Wi-Fi aboard the Beechjet 400A & Hawker 400XP. If you favor the convenience of performing the upgrade from your own home airport, our mobile avionics technician group can bring our experience to you. Either way, Cutter Aviation makes it easy. Contact Cutter Aviation Technical Services today to learn more about the WAAS/LPV Upgrade for the Beechjet 400A & Hawker 400XP. Our experts can discuss your unique needs and the current equipment on your aircraft to develop a plan to help you navigate the future with WAAS/LPV.